Super fast delivery of a Brother printer in the Manchester area. 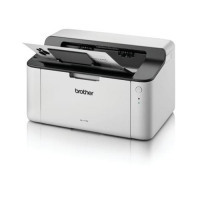 Brother make a large range of inkjet printers, laser printers and multifunction machines. Octopus are a Brother stockist and have access to all Brother printers. We can supply any model from the smallest inkjet printer up to the state of the art multifunction colour laser printer. We deliver all over Greater Manchester every day, so can often even deliver the same day on stock items. The Brother range of inkjet printers do more than just print, which means they are extremely versatile. They all have other functions built in, such as a scanner, a fax or a copying capability, so can perform the functions of many machines. 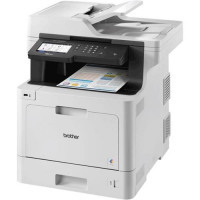 Some of the entry level Brother printer models have a flatbed scanner that can scan a single document, whilst the larger machines have a document feeder. 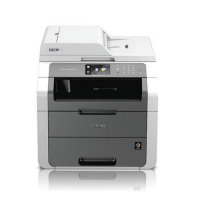 Inkjet printers in the MFC range have a fax machine built in, whilst the DCP range will copy, scan and print only. 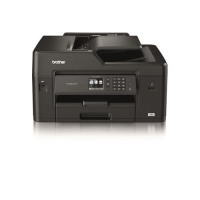 Mono laser Brother printer models print in black only and are great for higher volume black and white printing. They are generally more economical than a colour printer. They are great for producing invoices, delivery notes and other internal documents that don’t require any colour print. 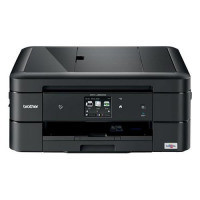 Multifunction colour laser printers can be the hub in a busy office or used as a personal printer depending on the model. A small Brother printer can sit at the end of your desk, so can be used for occasional high quality colour printing. Larger, more heavy duty models have multiple paper cassettes and are free standing. These can be used by several people or departments for printing large documents. As a Brother printer consumables stockist, we hold toners, inks and drums for most popular models. We offer free delivery in the Greater Manchester and Cheshire area from our store in Stockport.